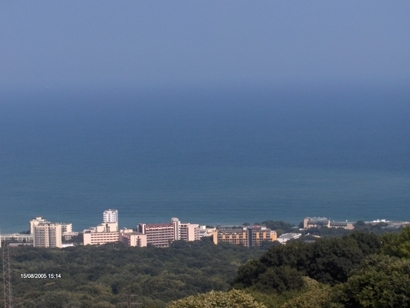 These plots are difficult to buy and easy to sell-A successful combination of stunning panoramic view of Black Sea, picturesque forests and vineyards, and city of Varna in the near distance. These prime investment lands are located only 6 miles away from the city centre of Varna and less than 10 minutes away from the very coastline. It is a location where one of the most beautiful nature reserves on the Balkan Peninsula is and where the medieval Aladzha Monastery is hewn into the rock. These plots located on a hill overlooking the Golden Sands Resort. � 10 min drive from the centre of Varna and sandy beaches and easy access to Varna International Airport and the famous Black Sea Resorts of St Constantine & Helena and Golden Sands. � Close to the first 27-hole Golf Course in Varna. Apart from the standard features, the golf course will further benefit from a Spa centre, health centre and variety of exotic restaurants and bars! We are pleased to offer you these plots with its ecologically pure environment and amazing landscape.